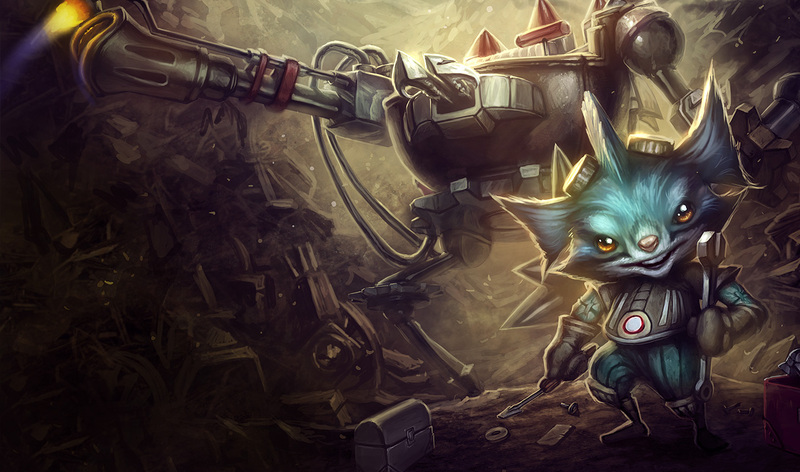 If you’re new to League of Legends the latest patch may just be your best friend. Why, you ask? Because item sets are included. Probably the hardest thing to manage in the entire game, when you’re new at least, is figuring out what items to buy and then memorizing them so you can do so when you’re in game. Replacing the long dormant Achievement tab is the Item Sets tab which will you create and edit builds prior to entering games and then let you simply reference those when it comes to what you should buy. These can be manipulated to include specific, multiple, or all champions allowing you to use this new feature to it’s utmost ability. The patch notes are a little lengthy so we’ll save you some time and just post them below. These two changes are intended to give Akali’s kit some utility. With Twilight Shroud now granting vision where it’s placed, Akali can perform interesting jungle and lane jukes by first casting Twilight Shroud to gain vision of an enemy or jungle monster, and then using Shadow Dance as an escape tool. Overall, it should be a cool little trick that adds some depth to this ability. Caitlyn was crowding out a lot of other AD champions with her potent siege capabilities and strong lane trading potential. We wanted to highlight her weakness to extended trades as a sniper by reducing her base attack speed. Additionally, by removing the accrual of headshot stacks when attacking turrets, it’ll be a little more difficult for Caitlyn to perpetually siege towers in early game while zoning out enemies with the threat of a headshot. As a melee champion, Diana should have an inherent weakness to lane harass. These changes are to reduce some of the safe and efficient wave clear Diana was getting from auto-attacking with her shield up in lane. The shield change will help Diana in mid- to late-game team fights when she needs to dive into multiple enemies to engage. Before the changes, Diana’s shield refreshed almost immediately and she got no benefit from the first stack unless she took damage very quickly upon initiating. Now with her shields stacking on top of each other, Diana will gain a little more survivability in these kind of engagements. Reducing the bonus Armor and Magic Resist in Spider Form while increasing the ability power ratio on Skittering Frenzy will better position Elise’s offensive capabilities and vulnerabilities. Elise continues to be a very strong lane bully; she will just need to think carefully about when she can win a trade. Miss Fortune excels at trading in lanes, but her Impure Shots were building too quickly and dealing too much burst damage with the use of Double Up. With this change, Miss Fortune loses some of her burst potential, but will do around the same damage in extended trades. These general usability buffs are for Nami to feel more impactful in team fights and skirmishes. In particular, with Surging Tides giving more movement speed and Aqua Prison having a longer stun duration, Nami players should feel better about playing aggressive in a lane. Nunu naturally fits in the jungle with his strong objective control and high map mobility – these changes should add more depth within that role. Above all, we want Consume to be a cool spell –Consume has traditionally languished in late game for everything besides objective control, so making it an attractive spell with these changes adds more depth and rank-up incentive. We did tone down some of Rumble’s overall damage, but we also took this opportunity to make Danger Zone more impactful in Rumble’s overall play. Here we’ve decided to increase his benefits for staying in the Danger Zone, so Rumble players will have more incentive to carefully manage their abilities. Hail of Arrows makes Varus very strong in lane trades and zoning enemies out, but the strength of this ability was crowding out the intended use of Piercing Arrow as a high-damage snipe. With these changes, Hail of Arrows still has its strength in area control but it no longer completely trumps Piercing Arrow as a method of proccing Blighted Quiver and dealing high burst damage. These are mostly quality of life changes for Warwick, who actually spent more time channeling Infinite Duress than he spent suppressing his target. Additionally, the fact that Warwick will now always place himself in front of the target rather than in a random location around them should add a little more strategic depth to who he suppresses and when. For all of the utility and sustain he brings, Zac was just a little too strong across the board. These changes should tone him down in places where he had excessive power – reducing the burst power of his ultimate and his already unusually high sustain from bloblets. As a resourceless champion, Zed was able to farm efficiently and safely without giving his opponent much opportunity for interaction. These changes should hit his wave clearing efficiency, especially at early levels. The vision reduction on Zed’s Living Shadow was just to bring it more in line with other abilities of this type. Mikael’s Crucible is a very strong item for supports who want to stay on the back line out of harm’s way. Most supports, however, opt for Philosopher’s Stone in early game, which makes them adverse to buying another high-sustain item like Mikael’s Crucible. These changes also open up more diversity for supports when upgrading their Philosopher’s Stone – Shurelya’s offers more offensive and defensive disengage, but Mikael’s Crucible offers more in-fight potential. While this change doesn’t seem significant, it will help auto-attack reliant laners when trading against ability-based laners. Champions who rely on lane harassment through abilities typically don’t draw minion attacks as much as auto-attack champions, and this disparity was forcing a lot of champions to opt for high-sustain starts in order to compensate. This change will have a larger overall effect on lane trading as the game progresses. Custom item sets can now be created and edited in the summoner profile. Karthus’ Requiem should no longer have a major FPS performance hit across all maps. Rerolls in the ARAM queue will now prefer champions not being played by a member of the other team. The ‘Random Champion’ option is no longer available in ranked game champion select. Players who fail to connect to the game will now be granted the same bonus Magic Resistance/Armor that disconnected players receive. Fixed a bug with certain AMD Radeon video cards when playing Dominion. Players may now disable moving their champion via right-clicking on the minimap in the options menu. Logitech G-Key, LED, and LCD technologies are now supported. Fixed: Players joining private custom games in the PvP.net client were not able to submit passwords using the Enter key. Adobe AIR no longer uses the Debug Launcher and has been updated to version 3.7. This should result in increased client stability. With every patch, we strive to improve the look of the game in varying degrees. We recommend that you have the latest available video card drivers installed. For more on Riot Games reasoning behind the latest League of Legends patch, check out the newest Patch Preview. I couldn’t possibly be more excited to see a patch release, I’ve always had trouble remembering what to build when certain situations arise, and now I won’t have to. Are you excited? Let us know in the comments!